For the GMAW process, the amperage is also an important parameter in obtaining different ways in which the weld metal is transferred across the arc. This is called the transfer mode. We will look at the transfer mode essential variable in another article, but it is important for our current discussion to remember that for GMAW, the amperage has an effect on the transfer mode. 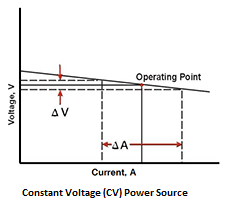 The effect of the voltage is greater, but the welding current is none-the-less also important in this regard. Another concept to remember is that deposition rates are generally a function of the current density on the end of the consumable electrode. We can think of the current density in terms of the amps per square millimetre cross section of the consumable electrode. 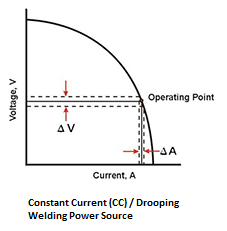 In other words, if the welding current is maintained at a constant value, but the diameter of the welding electrode is reduced, then the deposition rate increases.